HKADC Overseas Arts Administration Scholarships is offered for Masters degree in the field of Art project management, arts policy & administration, curating, marketing & communication, research & analysis, development & entrepreneurship . You can apply to this scholarship here. The deadline for the sending your application is Deadline varies. This scholarship is provided by The Hong Kong Arts Development Council (ADC) and the value of this scholarship is Full Funding, Each scholarship value is up to HK$450,000 . This scholarship is open for: Open to international applicants. This year, with funding support from the Home Affairs Bureau, the HKADC will offer around six Overseas Arts Administration Scholarships. Each scholarship value is up to HK$450,000 and mainly covers tuition fee, subsistence allowance, and a round-trip economy class flight ticket. Application was submitted in August, 2019. 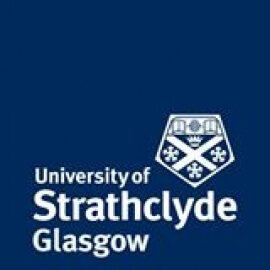 Application was submitted in April, 2019. Application was submitted in August, 2019. 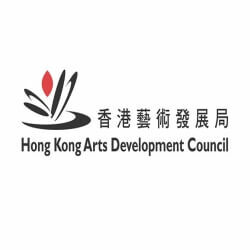 The Hong Kong Arts Development Council (ADC) is a statutory body in Hong Kong tasked with broad development of the arts in the territory. The ADC was created in 1995, under the Hong Kong Arts Development Council Ordinance, Chapter 472, replacing the former Council of Performing Arts. It advises the government on cultural policy for Hong Kong and allocates grants, undertakes advocacy, promotion and development, and plans programmes, in support of the arts. Do you know about The Hong Kong Arts Development Council (ADC)? Yes, you can secure an education loan to study abroad at The Hong Kong Arts Development Council (ADC). Education loans are of two types- Collateral and non collateral. Collateral includes either: Immovable property – a house or a flat or land (or) liquid security – an FD, or LIC or shares or bonds. Agricultural lands are not accepted by any bank for education loan. When is the deadline of HKADC Overseas Arts Administration Scholarships? For which degree is HKADC Overseas Arts Administration Scholarships offered for? For which field is HKADC Overseas Arts Administration Scholarships offered for? Who can apply for HKADC Overseas Arts Administration Scholarships? Who is offering HKADC Overseas Arts Administration Scholarships? What is the funding covered in HKADC Overseas Arts Administration Scholarships? Where can HKADC Overseas Arts Administration Scholarships can be taken at? What are the other best scholarships at The Hong Kong Arts Development Council (ADC)? What are the other Masters scholarships in The Hong Kong Arts Development Council (ADC)?